Mrs. Doris Cannon, 89, of Frederick went to her heavenly home on April 1, 2019 at Citizens Nursing and Rehabilitation Center after a 2 year battle with cancer. She was the wife of the late Roy A. Cannon, Frederick and daughter of the late Paul W. and Mamie R. Gaither, Brunswick, MD. In addition she was preceded in death by 5 brothers and 4 sisters. She will be fondly remembered by her friends and family. She is survived by her son Roy A. Cannon, Jr. and wife Cindy of Brunswick, daughter Nona R. Beall and husband Steven of Walkersville, daughter Betty J. Hafle and husband Tom of Frederick; grandchildren Matthew and Amy Beall of Frederick, Alan and Kisha Hafle of Frederick, Zachary Beall of Carthage, NC, Jessica Cannon of Warrensburg, MO and Rebecca Jackson of Dallas, GA. She is also survived by 3 great-grandchildren and 1 great-great grandson. She enjoyed spending time with her family and was always available to help. 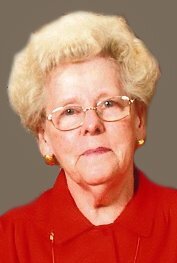 She enjoyed going out to dinner at the Lewistown Fire Hall, was an avid reader and a lifelong New York Yankees fan. The family will receive friends at the Stauffer Funeral Home, 1621 Opossumtown Pike, Frederick on Friday, April 5, 2019 from 10:30AM-11AM where a funeral service will begin at 11AM. Pastor Robert Merki will officiate. In lieu of flowers, donations may be made to Hospice of Frederick Co, P.O. Box 1799, Frederick, MD 21702.